In the game of basketball, the primary responsibility of a player who plays in the position of a shooting guard is to score the basketball on offense and steal it on defense. These players are usually strong and athletic and have the ability to get inside the paint and drive to the basket. Some of them have the ability to play in a variety of positions; like a combo guard – a shooting guard that can play as a point guard, and a swingman – one that can play as a small forward. Here is a list of ten of the greatest shooting guards of all time in NBA history who have made a name for themselves through their ability to kick into an extra gear to devastating effects on the opposition. 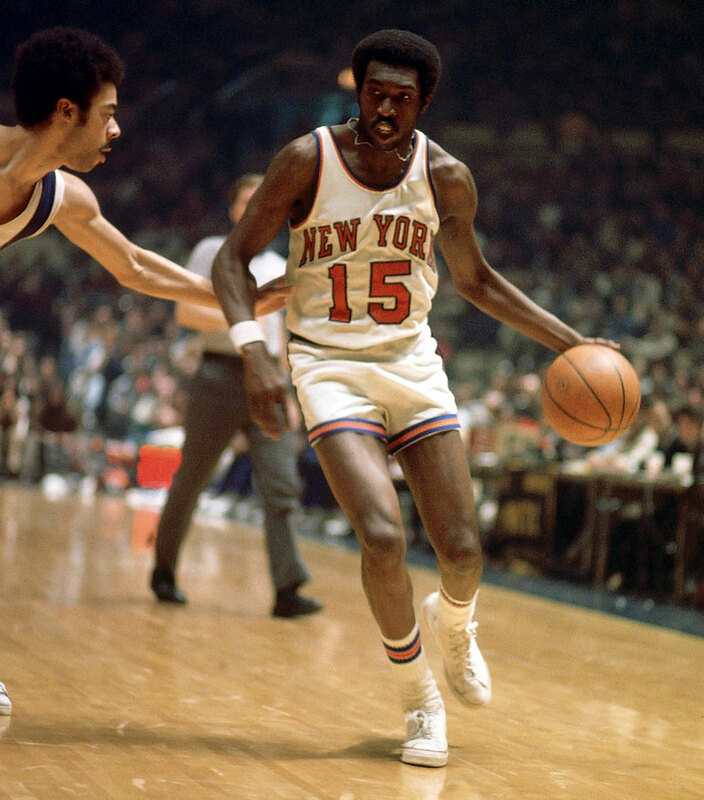 Earl Monroe, nicknamed “Black Jesus” and “Earl the Pearl” was a silky smooth shooting guard that is fondly remembered for his style. The four-time NBA All-Star was one of the most creative scorers of his time as well as one of the game’s greatest improvisers who could run the offense and do damage without even having the ball. The Philadelphia, Pennsylvania native played college basketball at Winston-Salem State University before entering the NBA in the 1967 NBA Draft as the 2nd overall pick by the Baltimore Bullets. 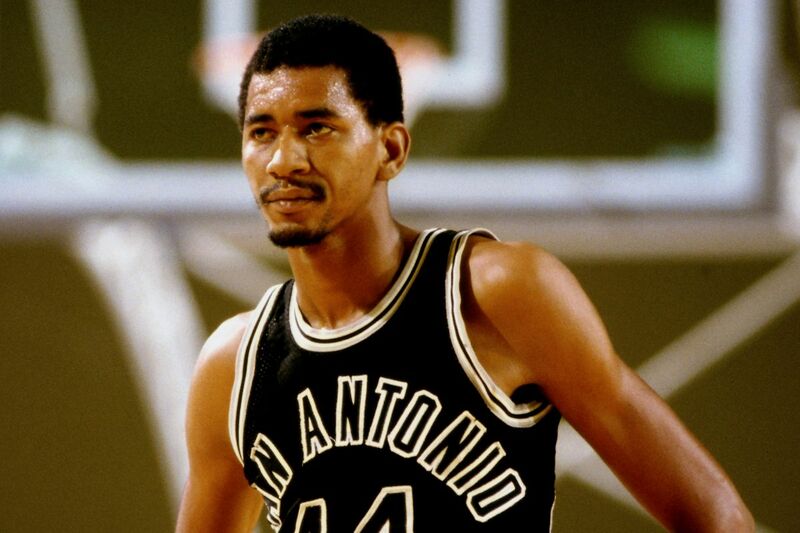 He went on to be named NBA Rookie of the Year in 1968 and earned an All-NBA First Team selection in 1969. 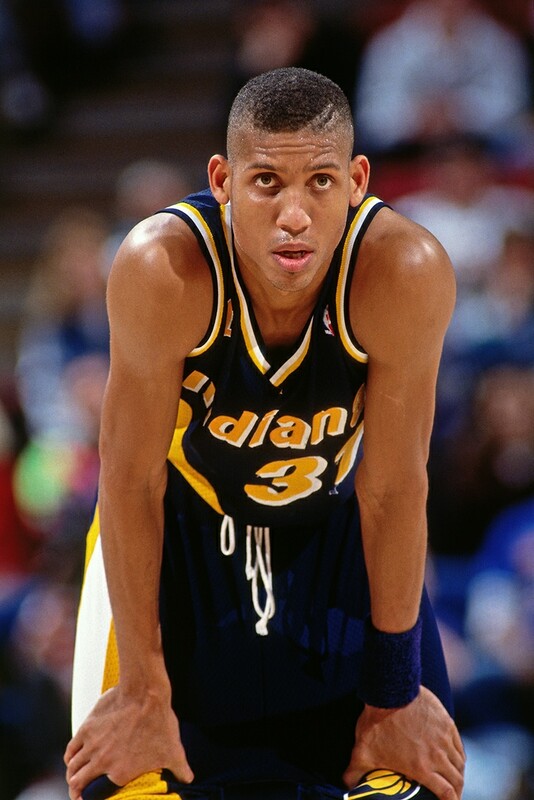 Long before people like Steph Curry, Klay Thompson, and Ray Allen came about, a certain Reggie Miller was known and revered for his precision three-point shooting ability. While he was unable to win a championship in his career, he will still go down in history as one of the greatest shooting guards of all time thanks to his exploits on the court, most of which notably came against the New York Knicks, earning him the nickname “Knick Killer”. Miller, who is widely considered the Pacers’ greatest player of all time, joined the prestigious 50-40-90 club in 1994 and is a five-time NBA All-Star. No player in the history of the NBA created more fear off the ball than Ray Allen did. He essentially revolutionalized the game by proving that a player could still provide first-class value without having to dominate the ball. He was able to do this by being one of the purest shooters that ever played the game, a trait that helped him set the NBA records in both the regular and postseason for career three-point field goals made. 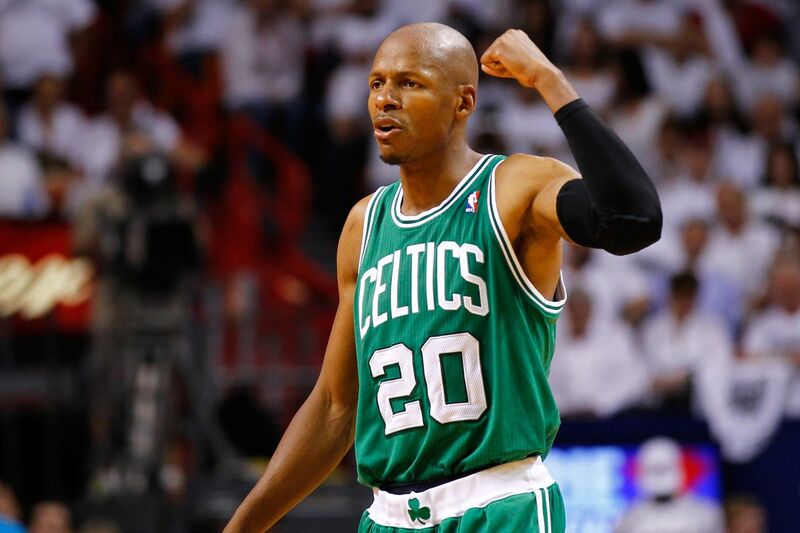 Nicknamed Jesus Shuttlesworth after the role he played in the movie He Got Game (1998), the California-native played college basketball at the University of Connecticut before entering the league in the 1996 NBA Draft as the 5th overall pick by the Minnesota Timberwolves who immediately traded him to the Milwaukee Bucks. The 40th overall pick by the Phoenix Suns at the 1974 NBA Draft led the league four times in scoring, made nine All-Star appearances, and earned five All-NBA First Team selections, achievements that helped secure him a spot on the greatest shooting guards of all time list. Nicknamed ‘The Answer’, Allen Iverson is not going to only make it to the greatest shooting guards of all time shortlist, but also that of the most influential players in NBA history. 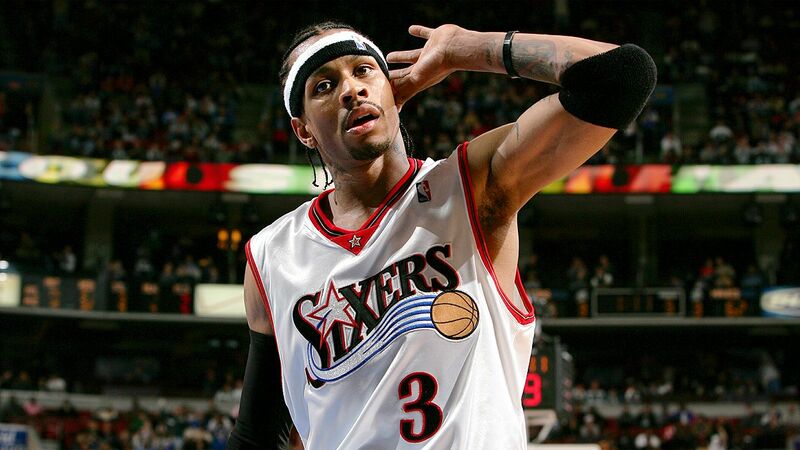 While he was very well known for his signature Reeboks shoes, cornrow hairstyle, long shorts, and overall swagger, Iverson was one of the toughest players to play against, something that earned him the description as the best “pound for pound” player of his time. The Hampton, Virginia native, who famously spent four months of a fifteen-year sentence behind bars before he was granted clemency by Virginia Governor Douglas Wilder, played college basketball at Georgetown University. He spent two years there before he was selected as the first overall pick by the Philadelphia 76ers in the 1996 NBA draft. Iverson went on to win the 1997 NBA Rookie of the Year award, lead the league in scoring on four occasions, and become the shortest and lightest player to win the NBA Most Valuable Player award, among other achievements. Clyde Drexler was a pure athlete that was famed for his easygoing and quiet demeanor off the court and ferocious speed and outstanding skill on it. The high-flying shooting guard was as athletic and as fast as anyone that ever played in the NBA. Many people have argued that if he did not play in the same era as Michael Jordan, he would have had the chance to have had a greater impact on the game. Drexler played college basketball for the University of Houston where he and other future NBA stars like Michael Young, Larry Micheaux and Hakeem Olajuwon made up the famous “Phi Slama Jama” basketball fraternity. He went on to enter the NBA through the 1983 NBA Draft as the 14th overall pick by the Portland Trail Blazers. 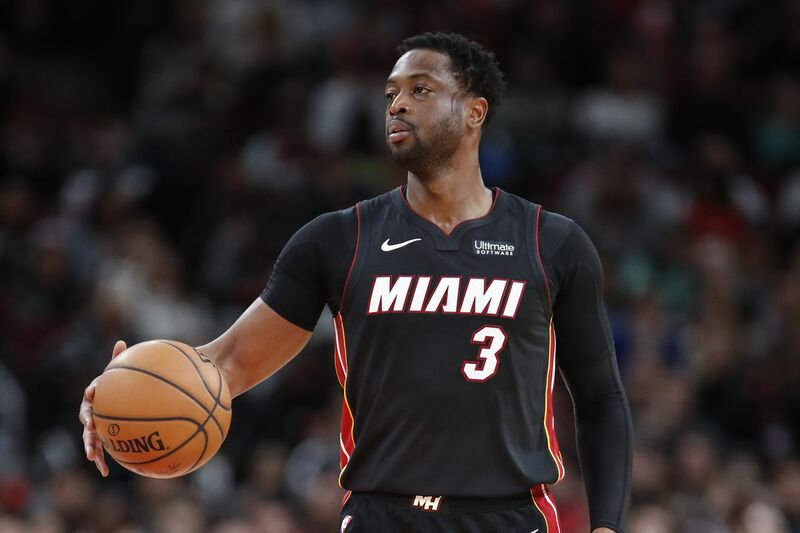 The city of Miami and its basketball team fans will never forget the effort and work one of the greatest shooting guards of all time, Dwayne Wade put in to become the franchise’s all-time leader in points, games, assists and steals, shots made and shots taken categories. The Chicago native, who is primarily a shooting guard but can also play as a point guard when needed, established himself in the league as one of the quickest and most difficult players to guard. He is also one of the best shot-blocking guards of all time. Wade, who put in one of the best individual performances of all time in an NBA Finals to help his team win a championship in 2006, was selected 5th overall in the 2003 NBA Draft by the Heat. He had played two years of college basketball at Marquette University in Milwaukee, Wisconsin before turning professional. He was selected to the NBA All-Rookie First Team as he went on to garner thirteen NBA All-Star appearances and the 2009 NBA scoring title. 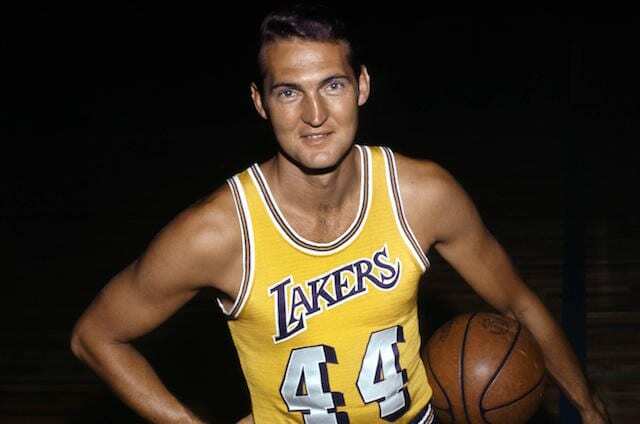 Jerry West undoubtedly deserves a place on this list of greatest shooting guards of all time. He is described as an all-around combo guard and rightly so, as he was very strong in both defense and on offense. Nicknamed Mr. Clutch, West was also famed for his ability to come alive and score points towards the end of the game when the pressure was very high. There is a reason the NBA’s logo is a silhouette of the legendary Laker. West was born in Chelyan, West Virginia. He played college basketball at West Virginia University where he won the NCAA Final Four Most Outstanding Player in 1959 before being selected 2nd overall by the Minneapolis Lakers, who were at the time relocating to the city of Angels, in the 1960 NBA Draft. He led his team to nine NBA Finals, however, only managing one victory. For his performances in one of those finals, he was named Finals MVP despite being on the losing team, making him the only player in NBA history to achieve that feat. 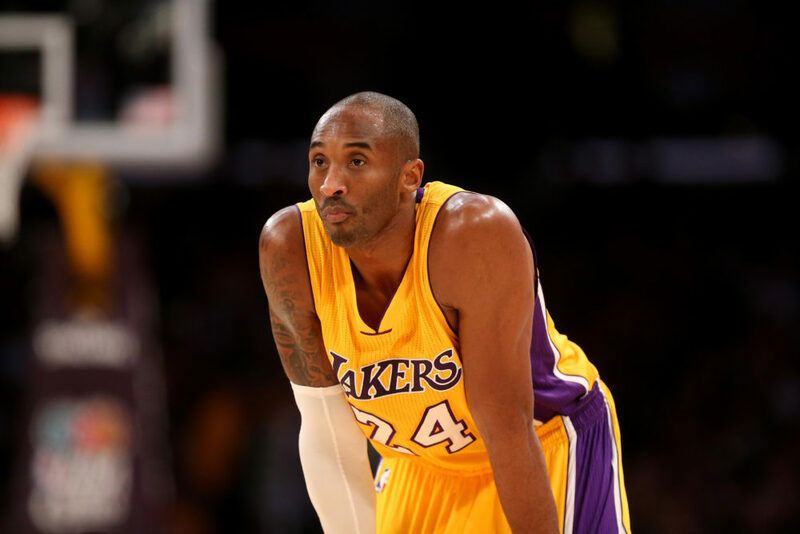 It’s no surprise Kobe Bryant is considered one of the greatest shooting guards of all time. For many people who got to watch Michael Jordan play the game, Kobe Bryant was seen as the next best thing the NBA had to offer. The Pennsylvania-native modeled his game around the Chicago Bulls legend, and it can rightly be said that he did come quite close to be mentioned in the same breath as Jordan. Bryant was famed for his ability to make difficult shots, something that brought him a lot of criticism for being selfish but spoke about his mental ability. He went on to become the first guard to play 20 seasons in the NBA, becoming the third all-time leading scorer along the way, surpassing Michael Jordan. Bryant famously did not play college basketball as he declared for the NBA draft straight after high school. He was subsequently selected 13th overall by the Lakers and has gone ahead to become their all-time leading scorer. Some of his other awards include eighteen NBA All-Star appearances, two NBA scoring titles, and eleven All-NBA First Team selections, among others. As written on the official NBA website, Michael Jordan is by acclamation, the greatest basketball player of all time. With such a title, it is no surprise that he holds the number one spot on the greatest shooting guards of all time list. He was able to achieve all he did because he had the perfect combination of brains, athleticism, guile, and competitiveness. He could also play in a variety of positions, most frequently as either a small forward or point guard. Jordan, who was nicknamed Air Jordan and His Airness for his performances at Slam Dunk competitions, played college basketball under coach Dean Smith at the University of North Carolina. He won the NCAA title in 1982, two years before entering the NBA as the 3rd overall pick by the Chicago Bulls in the 1984 NBA Draft. He went on to win the NBA Rookie of the Year award in 1985 as he won numerous other awards during the course of his career.